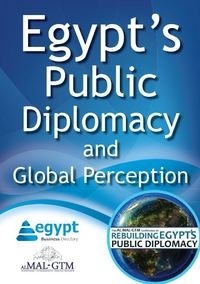 The first session entitled “Influencing Global Perception through Public Diplomacy” brought together some of Egypt’s most active experts. They highlighted current Public Diplomacy efforts and discussed means of integrating Foreign Policy with Public Diplomacy strategies. The panel also emphasized the importance of civil society in Public Diplomacy and highlighted which priorities should be focused on. Lastly, it made recommendations for the development of a cohesive national plan for Public Diplomacy.